Great weather, abundant harvests, fabulous food, some of the world’s most cosmopolitan, and romantic, cities – as well as the world’s most critical biodiversity hotspots — make up what are known as Mediterranean-climate Ecosystems. With “Lands of Two Seasons: The World’s Mediterranean-Climate Ecosystems,” UCTV and the UC Natural Reserve System inaugurate a six-part series that will be unveiled in spring 2013 on UCTV Prime. 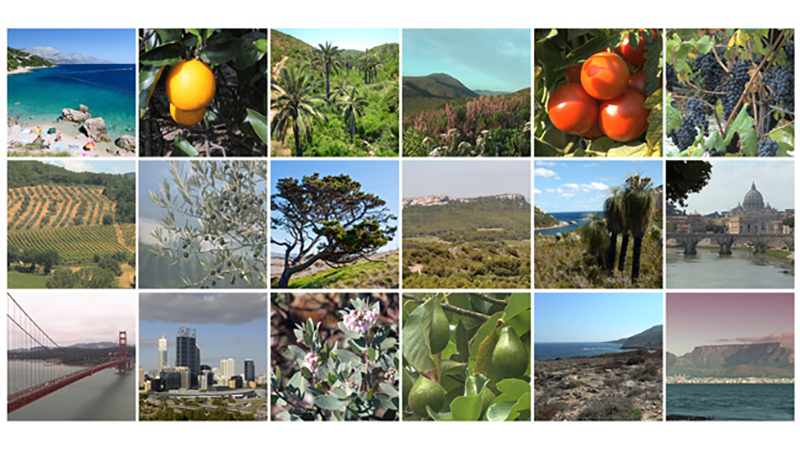 The introductory program offers an overview the world’s Mediterranean-climate zones, pointing out their similarities, unique characteristics and importance, while also illuminating the factors that threaten them. From geology to ocean and atmospheric forces, subsequent programs will explore the many factors that make these environments so unique and alluring. Watch “Lands of Two Seasons: The World’s Mediterranean-Climate Ecosystems” and stay tuned later this spring for more in the series.